Bicyclebluebook.com provides trade-in values for your used bicycle. Looking for a gift for that active special someone? 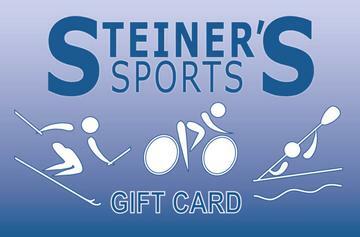 Steiner's Sports Gift Cards are always the perfect gift for any occasion. Stop by and Pick one Up or Order one Online Today! All Gift Cards are sent free of charge by USPS.